The project proposal submission deadline is fast approaching! 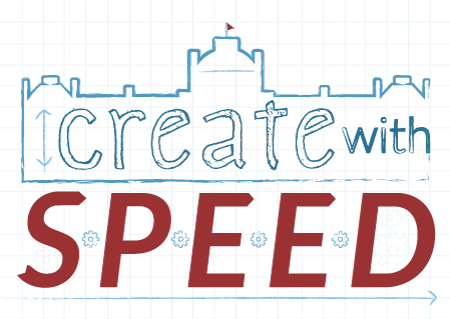 The Libraries and ITS invite all current employees (including faculty, instructional staff, and staff) to submit proposals for Swarthmore Projects for Educational Exploration and Development (SPEED) support. SPEED awards primarily consist of dedicated support from software developers, librarians, academic technologists, and student interns for an eight-week period of project development in June and July 2019. With your SPEED project team’s help, you can create a new digital object, resource, or data visualization that enhances Swarthmore’s vision of access and inclusion, academics, and education for the common good. Successful projects include a clear focus and a scope that can be completed within eight weeks. Visit the SPEED Project page for more information, including previous projects: https://www.swarthmore.edu/speed. To be considered for SPEED support this summer, please complete the application form <https://goo.gl/forms/XW5zxdHOV1839vIy1> by the end of the day on April 15th. Every proposal will receive a response from us. You are welcome to discuss your idea with the Library and ITS staff members before applying.